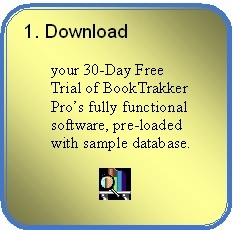 Book inventory software for booksellers, book collectors and small libraries. 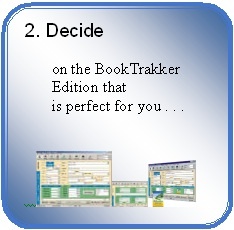 BookTrakker Inventory Management Software for Online Booksellers, Used and Rare Bookstores, Book Collectors and Private Libraries since 1998. With BookTrakker you can send your book listings to over 25 online bookselling services, including AMAZON, ABAA/ILBAB, ABE, Alibris, Biblio, TomFolio, and more. Upload to Chrislands or CrystalThought websites. Show me more! . . . 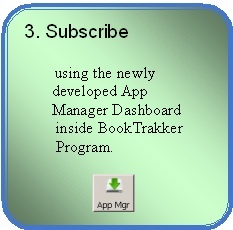 This one download is for all Editions - Basic, BookTrakker Pro, Network, Collector and Advanced Collector. *For as little as $24.99 a month.